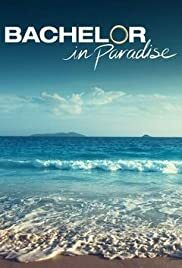 A new bachelor creates tension for a blossoming couple and another bachelor is called out for being unfaithful as time in paradise nears an end in the penultimate episode. Three new bachelors arrive in paradise and things at the houses heat up when the outspoken AshLee is caught gossiping about Clare, leading to an epic confrontation. Two new bachelorettes join with one man in mind: Marquel. Plus, AshLee gets her wish to go on an overnight date with Graham and a debilitating injury could send one bachelor home. Summer lovin'. Some are not. I am convinced the producers of this show look for women who wholeheartedly buy into the princess/knight in shining armor fairytale myth. This assures that they have a sense of entitlement ("I deserve love! "), providing drama. Another common trait is a keen focus on their biological clocks ("Why can't I find someone? "), adding more drama, like a Hitchcock film that keeps referring back to the timer on the bomb. Throwing together "losers" from prior showings of "The Bachelor" or "The Bachelorette" for the alleged purpose of creating lifetime commitments is like asking people to drive at top speed into an intersection without traffic lights. You might not be able to avert your eyes from the ensuing accidents, but they are still accidents. Can you learn something by watching this show? Well, you can learn to better identify potential partners who are bad choices. And you can learn that better long-term results can be achieved through a more organic development of relationships. Being thrust into a superficial, timed environment like "Bachelor in Paradise" will seldom yield happiness. Otherwise, the show has little to offer and is not far removed from "The Jersey Shore" or an episode of "The Jerry Springer Show" in terms of entertainment or educational value.